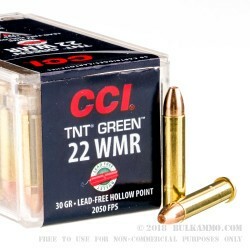 This 22 WMR round from CCI is a reliable small game round equipped with sure-fire CCI primers. 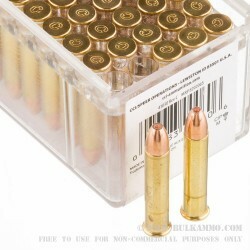 Each round comes with a 30 grain, lead-free, hollow point bullet. 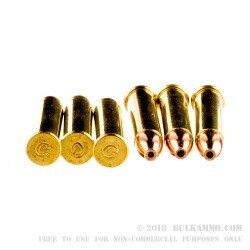 These attributes make this round a great option for use in areas where lead bullets are prohibited, while still offering reliable and accurate performance. Headquartered in the “Gem State” of Idaho, CCI has been producing high-quality shooting products since the 1950s. 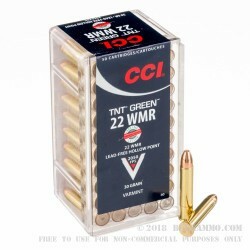 This 22 WMR cartridge is no exception.